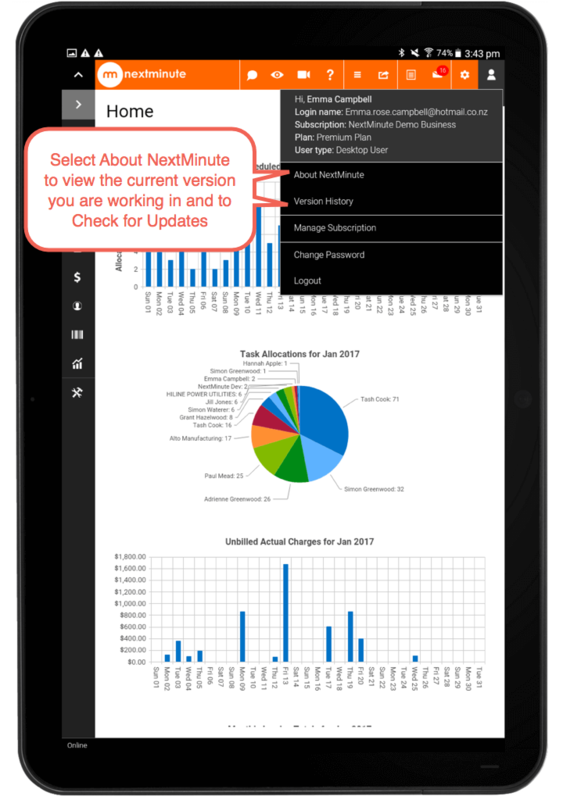 Check for Updates - tablet – Welcome to the NextMinute support and feedback centre. 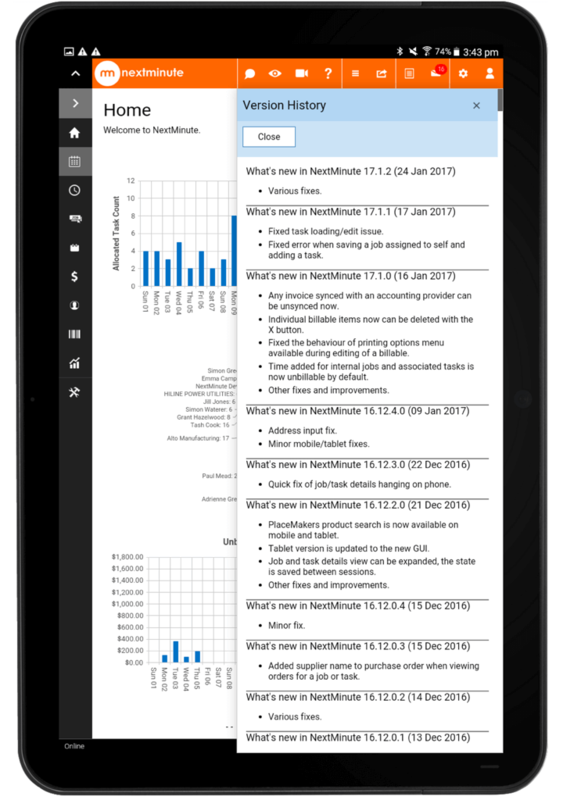 Are you working in the latest tablet version of NextMinute? Like most apps softwares there are updates and improvements. 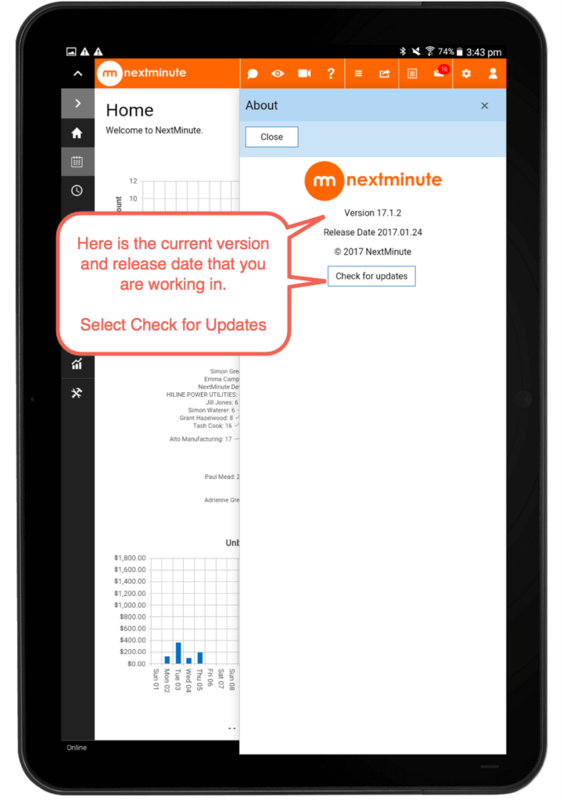 To check if you are working in the latest tablet version of NextMinute follow the below steps. 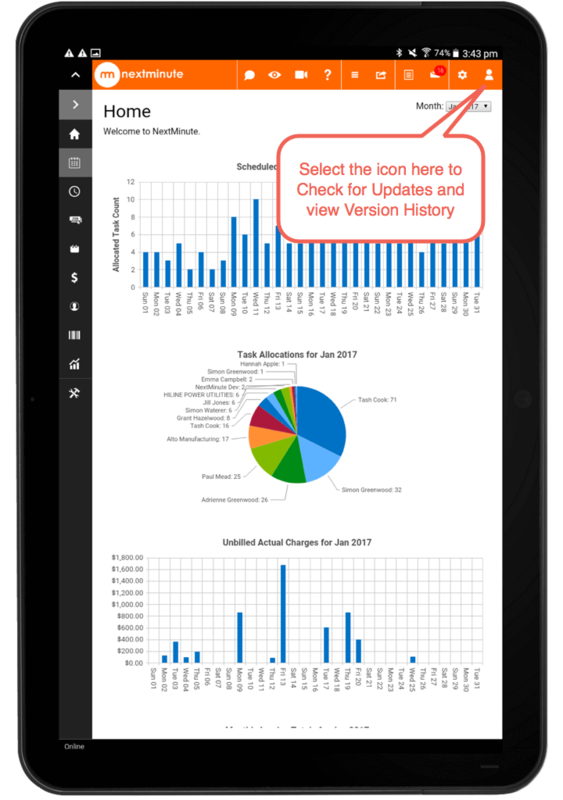 If your tablet automatically does software updates, you should be working in the latest version.